A clearer picture of Toronto voters is emerging thanks to the tens of thousands who have completed Vote Compass. CBC Toronto's civic engagement tool has already found transportation and housing are the biggest issues for voters ahead of the Oct. 22 election, but a deeper dive reveals strong positions and divides on a number of other high-profile topics. Toronto has seen an surge of asylum seekers over the past year, which has resulted in more would-be refugees winding up in the city's shelter system. 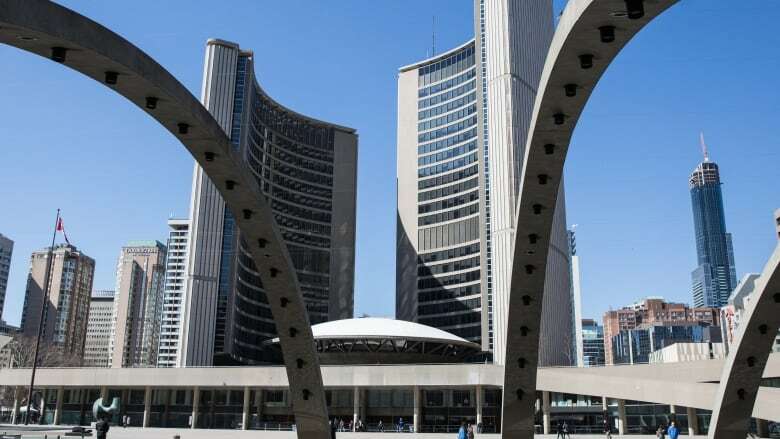 City council has also reaffirmed the Toronto is a sanctuary city, which means people don't need to prove their immigration status to get city supports. Vote Compass asks respondents whether city service providers should be reporting people who enter Canada irregularly to federal authorities. The results were split. One-in-four people said they strongly agreed with that statement, while a further one-in-five said they somewhat agree. However, 22 per cent of people strongly disagree, while 17 per cent strongly disagree. The results were also split by age. One-in-three respondents over 55 strongly agreed, while 26 per cent of people aged 18-34 said they strongly disagreed. Just 14 per cent of people said they were neutral on the topic, while the rest said they don't know. 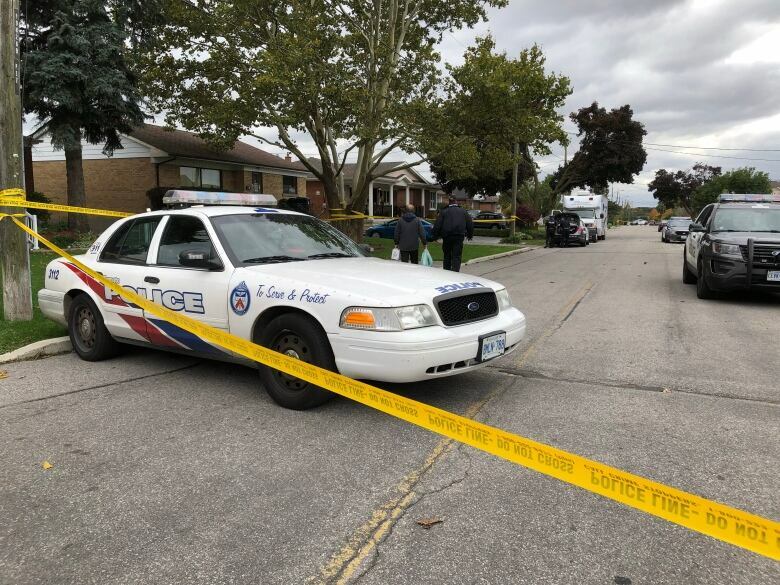 Both leading mayoral candidates are calling on the federal government to ban handguns in the city, and some 68 per cent of Torontonians surveyed strongly agree with that plan. Just nine per cent of people strongly disagree with a handgun ban. While 88 per cent of women agree with a ban on the weapons, just 71 per cent of men do. They pay taxes, they ride transit and in some cases they've called this city home for years — but permanent residents can't vote in the municipal election. Most Vote Compass users say that should change. About 51 per cent of respondents agreed that permanent residents who don't have Canadian citizenship should vote in local elections. However, 23 per cent strongly disagreed with the idea. Half of those who took Vote Compass said the city should be doing much more when it comes to addressing climate change, while just 20 per cent said the city should stick to the status quo or do less. Torontonians of all ages and educational backgrounds called on the city to do more, although women were more likely to demand more action on climate change than men. Bike lanes are always a fight on the city council floor, but a majority of Vote Compass users want the city to build more — even if it that results in fewer lanes for cars. Some 38 per cent strongly agreed with building more bike lanes, while 25 per cent agreed with expanding the city's bike network. Unsurprisingly, a good chunk of that support comes from the downtown core and east and west ends. Just 15 per cent strongly disagreed. Those people were mainly from Scarborough and Etobicoke, although more people from those inner-suburbs supported building more bike lanes. Developed by a team of social and statistical scientists from Vox Pop Labs, Vote Compass is a civic engagement application offered in Toronto exclusively by Radio-Canada/CBC. The findings in this report are based on 11,982 respondents who participated in Vote Compass from Oct. 3 to Oct. 10. Unlike online opinion polls, respondents to Vote Compass are not pre-selected. Similar to opinion polls, however, the data is a non-random sample from the population and has been weighted in order to approximate a representative sample. Vote Compass data has been weighted by gender, age, education, language and region to ensure the sample's composition reflects that of the actual population of Toronto according to census data and other population estimates.